Newsletter printing is a great way to keep in touch with customers and stakeholders. Use them to update them about new product releases, industry news, industries and profiles, quarterly overviews and much more. Nonprofits can also use newsletters to update donors with stories, resources, and other important types of content. These single sheet newsletters come in different sizes, allowing you to distribute them by mail or by hand. They’re a popular format for monthly employee newsletters. Like all our newsletters, they’re printed on quality 100 lb. text stock for a professional look and feel. 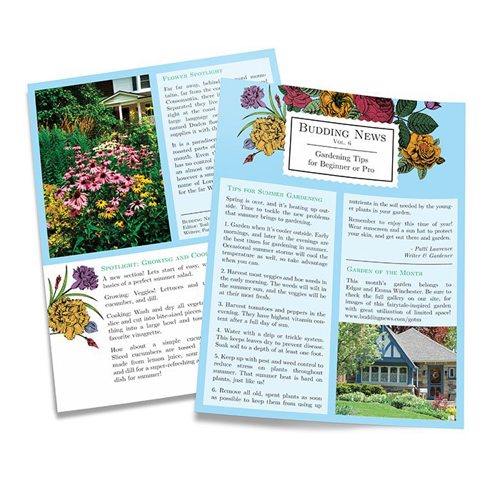 Single-fold newsletters are divided into 4 panels, letting you hold and organize more info. They’re pre-folded and ready to pop into envelopes for mailing, or for distribution on card racks. Trifolds have 6 panels, and are excellent for simple layouts in a compact package. They’re easily adaptable to almost any type of content. 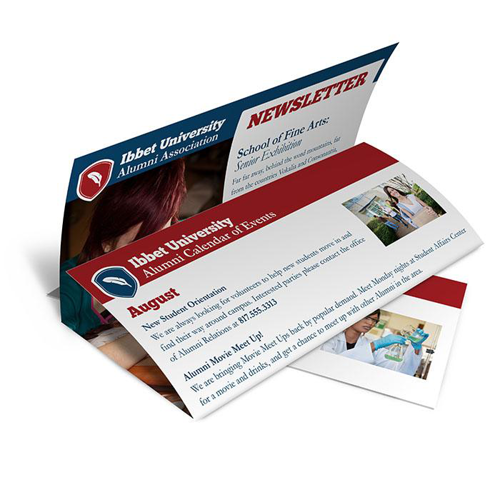 The double parallel fold creates 8 panel newsletters with a “nested” effect that prevents it from unfolding too easily. This makes it neater and easier to handle. The accordion fold creates 8 panels on your newsletter. This fold opens with minimal resistance and allows the newsletter sheet to be easily extended to its full length. It’s a good option for artwork that spans the breadth of the sheet. The French fold creates 8 panels on your newsletter, in a poster-style fold. This is an excellent format for large artwork and for newsletters that double as mini-posters. The roll fold creates a 6-panel newsletter that intuitively guides the user to open it in a sequence. Perfect for sequential information or content that needs to be presented in a logical order. Our fast turnaround times also mean that your newsletters can be ready in as soon as 2 days, perfect for tight deadlines. And if you don’t know how to create a newsletter, don’t worry. 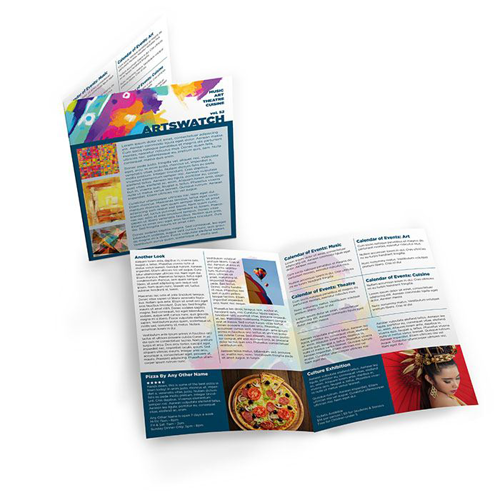 We offer free newsletter templates, allowing precise layouts, folding, printing and trimming.